What do our current partners have to say? At Leightons, it’s people who make our business buzz. Optometrists who care. Dispensers with style. Managers who know how to bring out the best in people. Wokingham - Franchising Partner Tim Barrett: Read his Franchise story here. Marlow - Joint Venture Co-Director Martin Lloyd: Read his Joint Venture story here. Watch the video below to see some of our franchise owners who are already reaping the rewards and living life to the full. 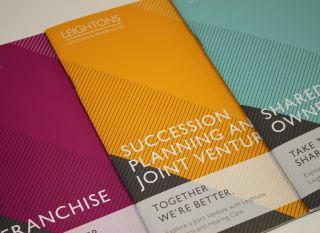 To find out more about Franchising, Joint Venture or Shared Ownership, call us on 01252 823400 or download our brochures.